Roger Federer is thru to the quarterfinals of the 2012 London Olympics after fighting off Denis Istomin and the rain in a 7-5 6-3 victory. The Swiss maestro rushed out to a 3-0 lead in front of a packed crowd on Court 1. Istomin stormed back to break and even the match at 3 all. Both players held serve from there to 5 all, with Federer serving at 15-30, when rain stopped play. Upon returning, Federer saved three break points with big first serves, holding for 6-5 and immediately breaking in the next game to clinch the set. The second set began in similar fashion. The Swiss again jumped to a 3-0 lead, but this time, held his serve to the finish line where he served out the match. 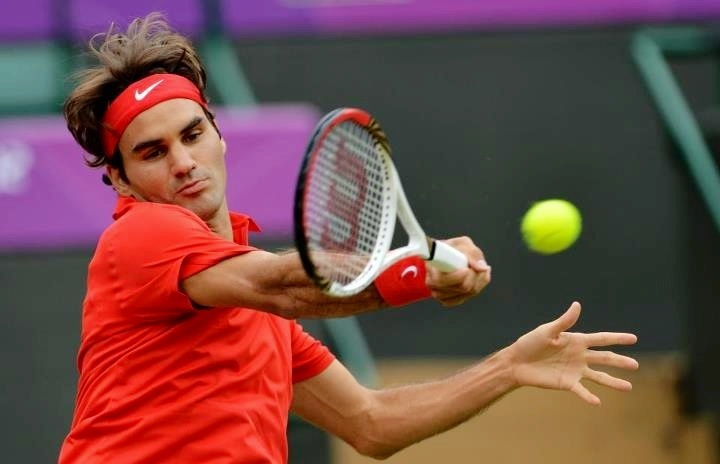 The top seeded Federer will face the winner between John Isner and Janko Tipsarevic in the quarterfinals. Watch live coverage of the Olympics online with FF07tv, or from your mobile device, with the NBC Olympics Live Extra apps: iPhone, iPad, iPod touch and Android.